Cliff Stasi, Kathleen Nierman, Fred Mohr, and Tony Spano Broomfield Skilled Nursing & Rehabilitation Center residents exercise in Live 2 B Healthy® class celebration. In a joint collaboration between Broomfield Skilled Nursing & Rehabilitation Center and Live 2 B Healthy®, CO Front Range, Broomfield area seniors and residents celebrated the 23rd Annual National Senior Health & Fitness Day®. Broomfield Skilled Nursing & Rehabilitation Center and Live 2 B Healthy® CO Front Range joined over 1,000 nationwide sites in celebrating this annual event. This annual national event is the nation’s largest health & wellness event for older adults. 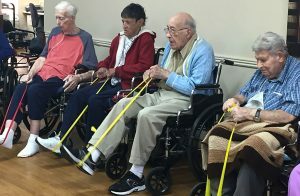 As an official National Senior Health & Fitness Day host site, Broomfield Skilled Nursing & Rehabilitation Center & Live 2 B Healthy® held a FREE group senior fitness class from 9:30 – 10:30 am. This group fitness class was led by Certified Personal Trainer, Brian Cook, and attended by more than 20 residents and area seniors. All participants were provided healthy refreshments and snacks plus a certification of participation award. 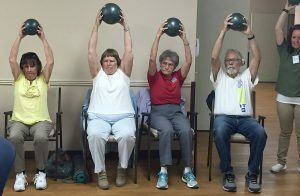 Local Broomfield area residents – Kimberly Hill, Judy Martinez, Marian Seder and Bob Rudland – celebrate National Senior Health & Fitness Day at Broomfield Skilled Nursing and Rehab Center. If you are interested in attending future senior fitness classes, Broomfield Skilled Nursing & Rehabilitation Center always welcomes visitors to participate in their regularly-scheduled group fitness classes. 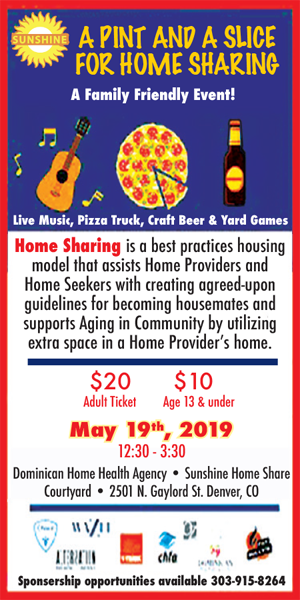 Please contact Tammie Zygielbaum at Broomfield Skilled Nursing & Rehabilitation Center (303) 785-5755 or Claire Allen with Live 2 B Healthy® (720) 485-4124 for more information. Claire Allen, Live 2 B Healthy® CO Front Range, has a Master’s of Science in Kinesiology and a BBA in Business Management. 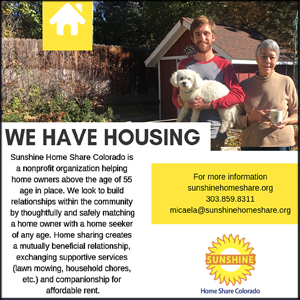 She launched Live 2 B Healthy® in the Colorado Front Range region in summer 2015 and is currently conducting senior fitness classes in assisted, independent and memory care communities. She is also available to offer classes in senior community centers, churches or other business organizations. All of Allen’s classes are run by a Certified Personal Trainer and are open to participants of all ability levels. Please contact Claire Allen if you would like to participate or host fitness classes in your area. If you are a CPT who is interested in making a difference in the lives of seniors, please contact her for more information on qualifications and training. Claire Allen, CAllen@Live2BHealthy.com or 720-485-4124.